Talented America rapper, Drake who has won several local awards went home over the weekend with 12 trophies at the 2017 billboard music awards held in Las Vegas. 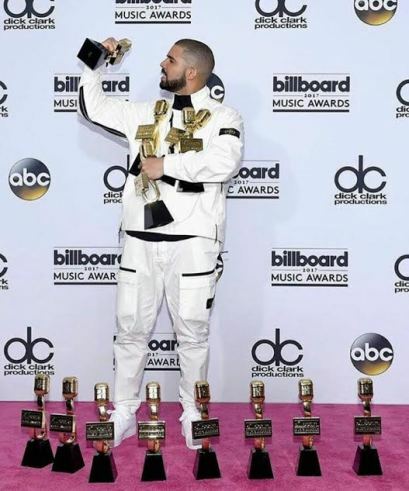 Drake, has indeed set a record only few can achieve making him the biggest winner of the night. He shared this photo of himself posing with his trophies on his Instagram handle.